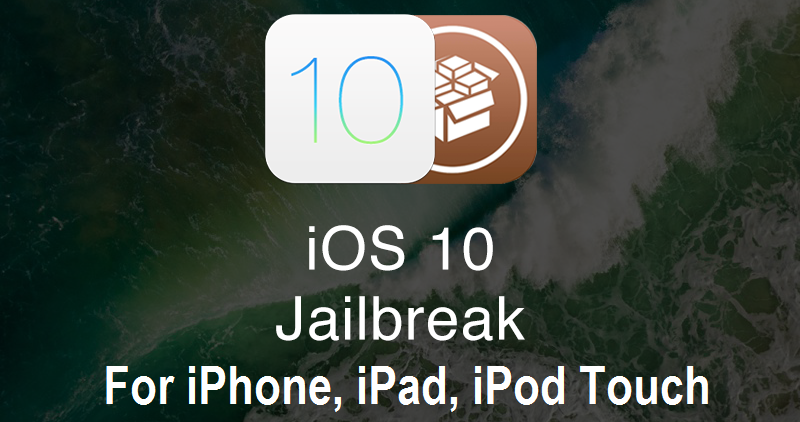 The most awaited iOS 10 Jailbreak Tool with Cydia Substrate Support has now been released and available by team "Luca Todesco (@qwertyoruiop)" and "Ian Beer" iOS-developers and iOS-hackers. The very first Untethered iOS 10 Jailbreak is currently at early stages, and it may produce some abnormal behavior for some iPhone, iPad, and iPod touch device users while trying iOS 10 Jailbreaking, so use this software with caution and take all your Apple smartphone and tablet data backup via iTunes. This new iOS 10 Jailbreak is called "Yalu + Mach_Portal + Extra_Recipe+YaluX" by its makers, because it's not just a one-click jailbreak solution like previously released 25PP, TaiG and PanGu iOS 10 Jailbreak Tools. Yalu iOS 10 Jailbreak with Cydia Substrate support is an Untethered Jailbreak solution for all iOS 10.x.x firmware officially releases by Apple till date i.e. iOS 10.2 / iOS 10.1.1 / iOS 10.1 / iOS 10.0.3 / iOS 10.0.2 / iOS 10.0.1 / iOS 10 Firmware updates, and this Yalu + Mach_Portal iOS 10 Jailbreak Tool is currently compatible with limited iOS 64-bit devices i.e. iPhone 7, iPhone 7 Plus, iPhone 6S, iPhone 6S Plus, iPhone SE, iPhone 6, iPhone 6 Plus, iPhone 5S, iPad Pro, iPad Air 2, iPad Air, iPad Mini 4, iPad Mini 2, and iPod Touch 6G and no other iOS 32-bit devices are supported i.e. iPhone 5C, iPhone 5, iPad 4G, and iPad Mini 3. But as per the official statement by the developer, soon all Apple iOS-powered devices will be compatible and supported by Yalu iOS 10 Jailbreak Tool. Windows and macOS users can easily use the official iOS 10 Jailbreak .IPA File on their operating systems running on any computers and laptops to perform Untethered iOS 10 Jailbreaking. The Official Direct Download Links of Yalu .IPA Jailbreak File for iOS 10.x.x Firmware is available below for iPhone, iPad, and iPod touch device users. NOTE: Use this software tool at your own risk. TechGlobeX won't be responsible/liable for any damage and data loss occurs on your iPhone, iPad, and iPod touch. Note: Click Here to follow our tutorial on How to Jailbreak iOS 10.x.x with Yalu Jailbreak Tool on Windows and macOS.